Judith Champion Art: Light house with a view! Blog > Light house with a view! The Lighthouse trail has begun....mine has a fine sea view in the garden of the Round Tower Guest House. 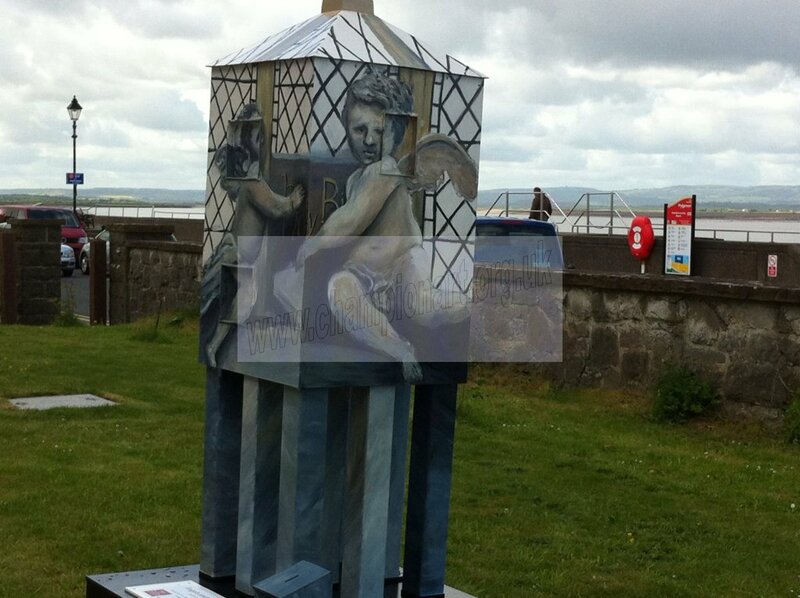 33 lighthouses are now in place in and around Burnham. Trail maps are available from the Tourist Info Centre and it's great fun trying to find them all. They will remain in place until September when there will be a grand auction. All money raised goes to the Petal foundation cancer charity.